For over 50 years the Vespa has fascinated millions, giving the world a unique image of Italian design and remaining the means of transport most synonymous with freedom. First produced in 1946 the Vespa offered mobility to everyone. During the 'Dolce Vita' years Italy was 'Vespa Country', its importance in society shown by its appearance in dozens of films, from Cinecitta to Hollywood. 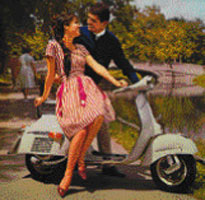 The 1960s saw the Vespa become a symbol of youth and a vehicle for rebellion. 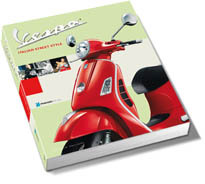 Packed with original photographs, some rare and unseen, from the Vespa archives, Vespa features all the models, the stars who made the scooter famous on the silver screen and much more. 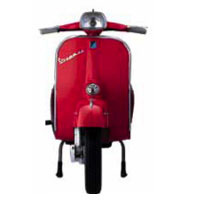 Vespa is a unique history of the technical and stylistic evolution of the world's most famous two-wheeler.